I feel like it’s been a while since I did one of these, but here are some great finds I found on the internet! 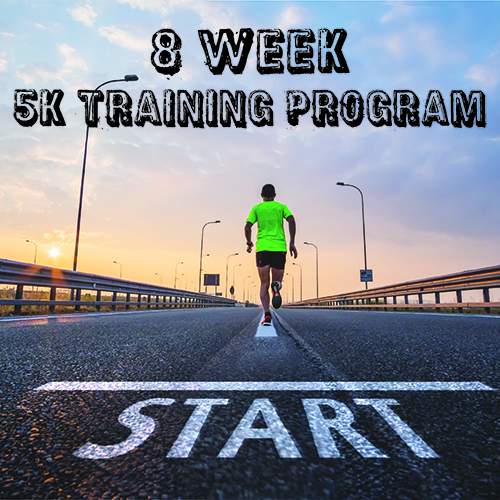 Do Office Weightloss Challenges Work? (Thrive Personal Fitness) – What are your thoughts? Why is Naked Juice Removing “All-Natural” From Its Product Labels (Fooducate) – PepsiCo has to pay up…$9 million! Do you drink packaged juices like Naked Juice? I picked one up once and was astounded by how much sugar it had! So, I admit, I only did 2 out of the 3 days.Why? I wasn’t in it for weight loss, I was in it to rest and get back on track with healthy eating. After 2 days, I felt like I had accomplished this…and I just wanted to eat solid food lol! I really think this worked. Today, I woke up feeling energized and ready to eat healthy. I had oatmeal with almond butter, and chicken sausage for breakfast. At work, my sister got a “Fat Sandwich” which is a staple at Rutgers. It had mozzarella sticks, chicken fingers, french fries, cheese steak, and honey mustard. Might sound gross but it is delicious. Anyway, I wasn’t tempted in the least! I had a small bite but easily stopped there and wasn’t craving it. Maybe it’s all in my head, but for me, I think the detox helped reset not only my body, but my mentality, and help me get back in the groove with healthy eating. So overall what are my thoughts about the cleanse? Were you hungry all the time? Actually, no! I was so skeptical of this when my friend told me I wouldn’t be hungry. The smoothies are huge and have a ton of ingredients in them. 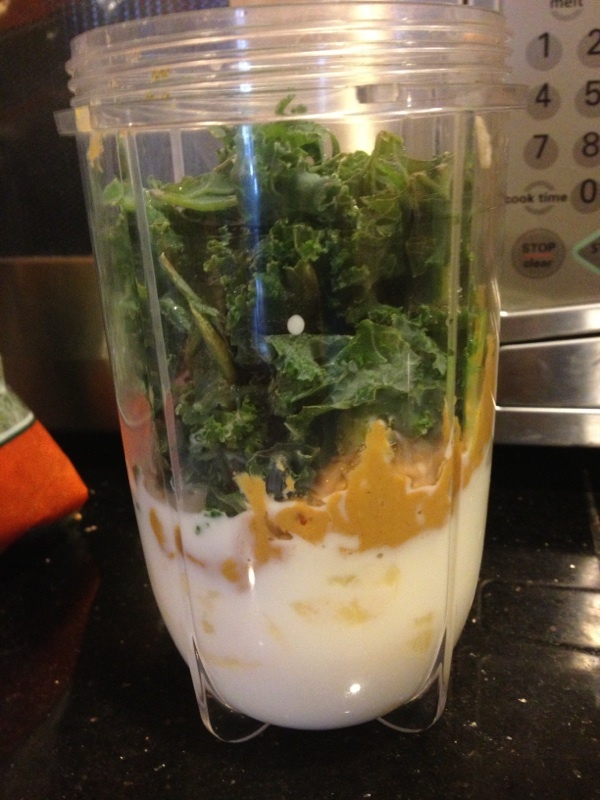 In the afternoon, I got a bit hungry, but then I just made the “snack” smoothie which held me over until dinner. I liked all of the smoothies. I read reviews saying lunch was the worst, probably because it had the most veggies. I drink green smoothies regularly so I’m used to more veggies. It wasn’t my favorite but I still liked it. A lot of people really like the breakfast smoothie, which was definitely good. I didn’t use cayenne pepper in the dinner smoothie though, so I enjoyed that one too…not sure how it would taste with the pepper! How were your energy levels? The first day I got REALLY tired in the afternoon. I had to take a nap, I couldn’t keep my eyes open anymore. Maybe it was a drop in blood sugar from eating junk prior to this? The second day I woke up so energized though. 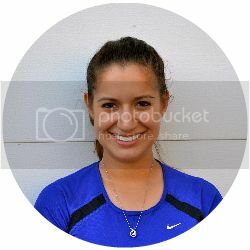 I had steady energy throughout the day, and even went to play tennis in the afternoon. Even the day after I finished, I am feeling energized and awake. Seeing and smelling real food. On the second day, I had a lunch staff meeting! Ugh, bad planning by me. I had to sit there sipping tea while others ate deliciousness. But it’s all about the willpower! I just kept thinking, it’s only 3 days…it’s not that bad. I really liked it! I am going to continue having smoothies for snacks or breakfast, and will try to do a 1 day cleanse once a month. I do think it works. Again, I didn’t do it for weightloss. I think it works to get you back on track, and remind you how good natural, whole foods are. It’s only 3 days! You can do anything for three days. 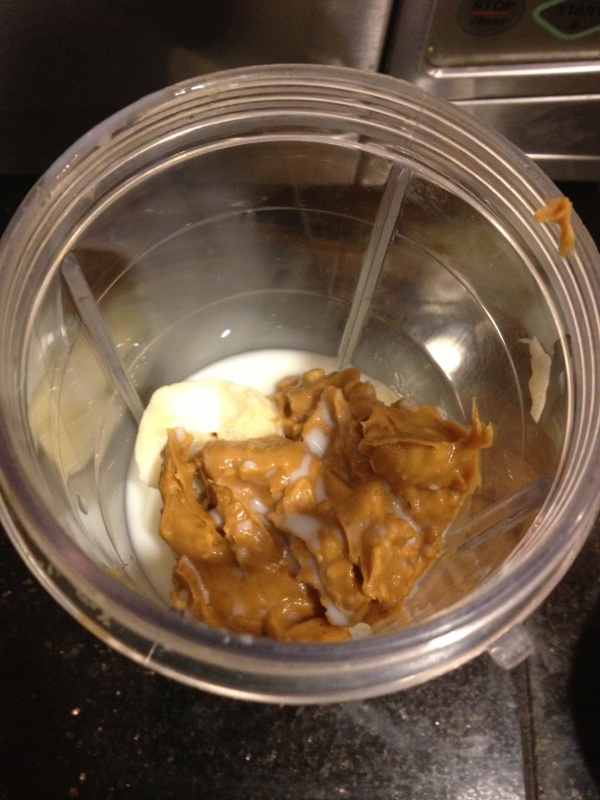 As I mentioned earlier, I also like that Dr. Oz included ingredients like almond butter which have protein as well. These smoothies were definitely filling! 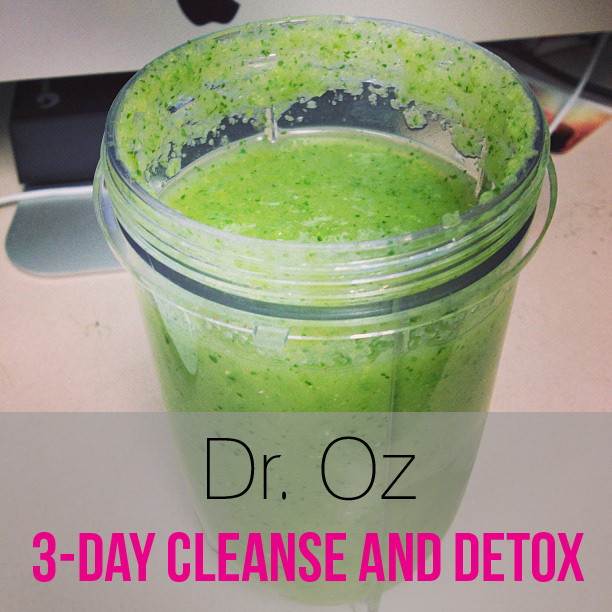 Have you ever tried a cleanse? Do you want to? So excited for my new blender I purchased this past weekend. While ultimately I’d love a Blendtec or Vitamix, it is way out of my budget. 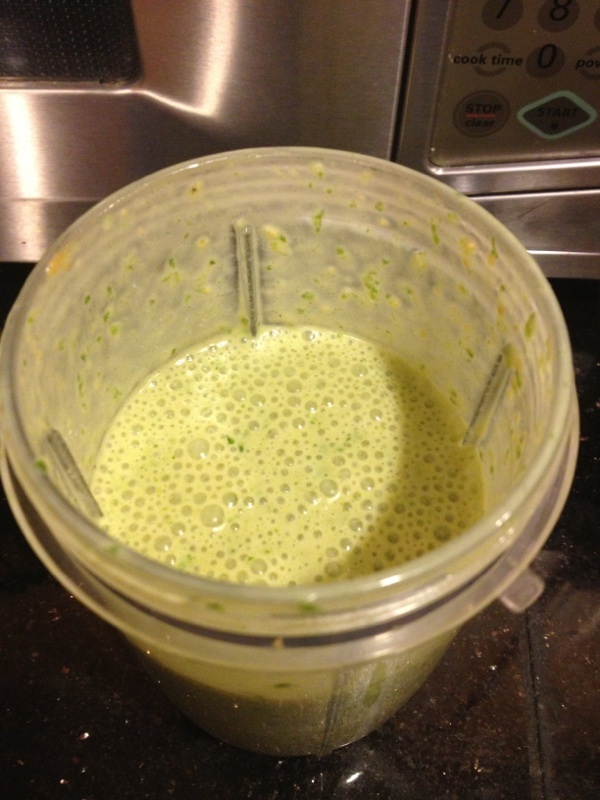 So instead I got a Ninja blender which I read great reviews for…and so far I love it! I had previously been using my Magic Bullet to make smoothies, and while it is convenient and easy to clean, I wanted something bigger so I can pack in more veggies. I received a 20% off coupon from Bed, Bath & Beyond…and my mom said she’d split the cost of a Ninja with me, so we went for it! I tested it out the past few days and so far it’s amazing. 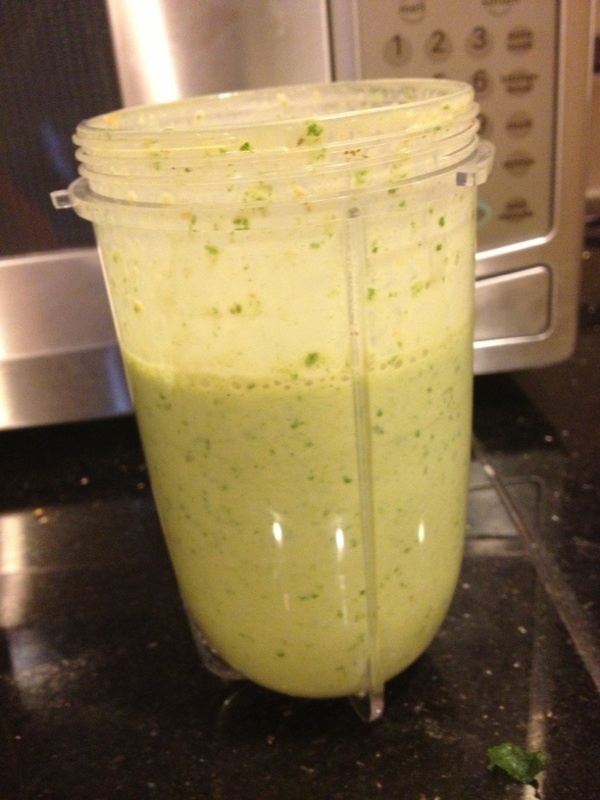 Unlike the Magic Bullet, there are no leafy chunks or anything in my smoothies. They are (no pun intended) so smooth! 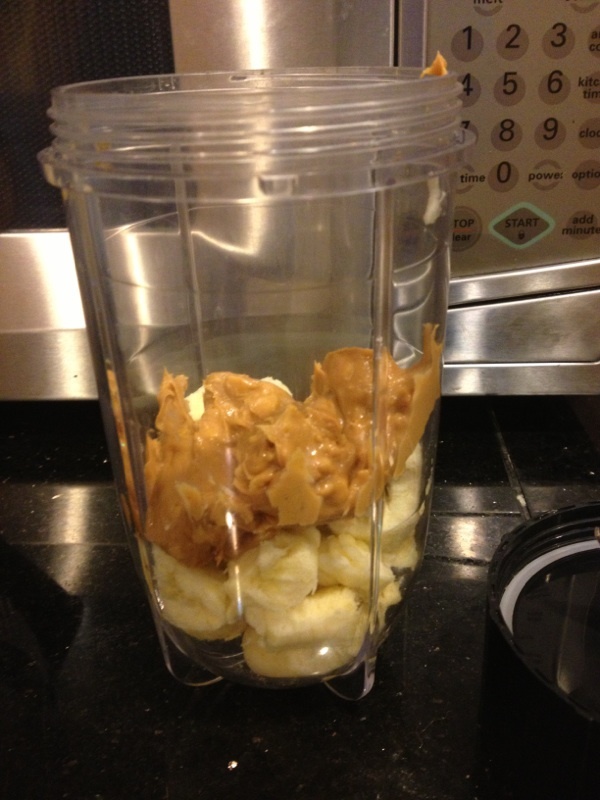 The blender takes a few seconds to mix everything up. Also, it is so easy to clean. 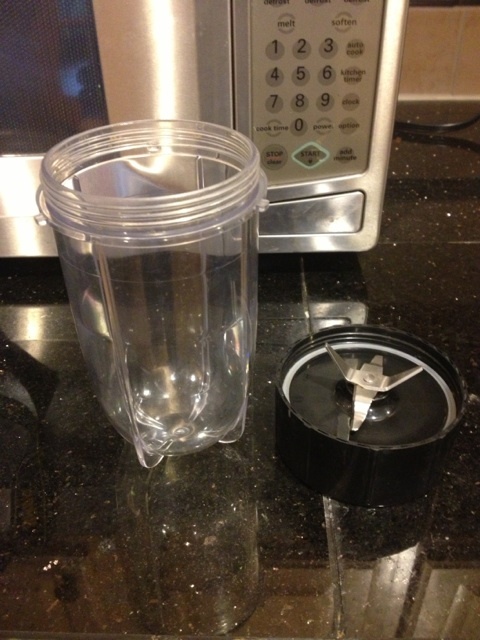 Unlike a normal blender which has blades attached to the bottom, you can remove the blades on this to clean it separately. No more worrying about cleaning it and cutting your finger off. Apparently you can use it as a food processor too…I’ll have to read more about that! My plan is to drink more green smoothies daily. I was doing that over the summer and kind of fell off the wagon. Since I’m not a huge fan of veggies, this is a great way for me to get my veggie intake, especially for breakfast when I rarely eat vegetables. 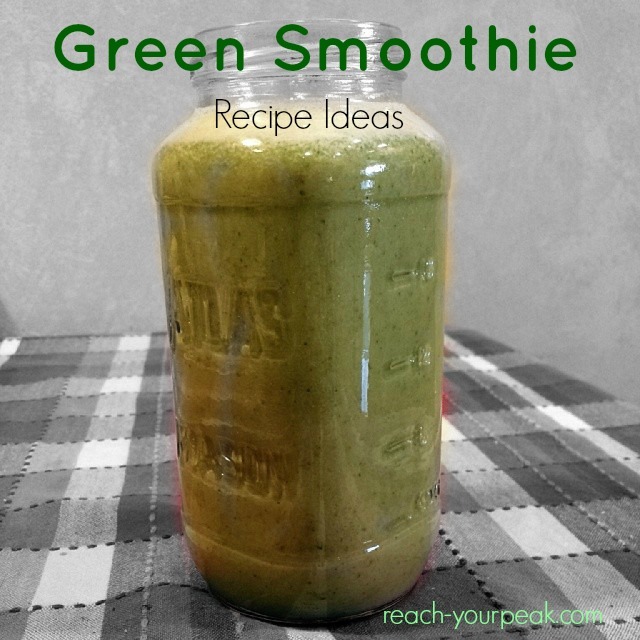 Do you drink green smoothies? What do you use to make them?